Hi, I'm Karen. 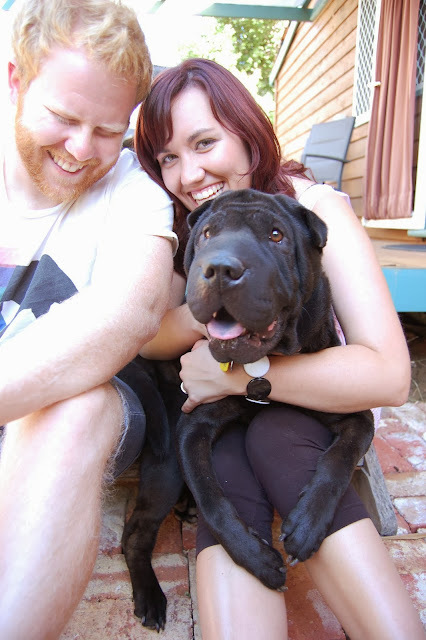 Mum to two, wife to one, a bearded American, and lets not forget our Shar-Pei. Living life on the coast just south of Perth in WA. Crafting when I can, writing down my thoughts, pursuing a fulfilling life and loving days on the beach. I'm so glad you stumbled upon my little space on the inter web! 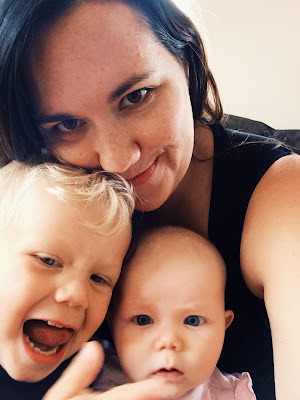 4)I'm a full time Mum, and work running my online store from home, its FULL ON!! 5) I worked in an Amish Themed restaurant in Florida for two years! COME AND FIND ME HERE TOO, I'd love it if you did! If you want to know more, keep reading! Yellow Dandy was my car, well actually she was our car, she was a really cheap 1979 Toyota Celica with no air-conditioning and a dodgy fuel gauge. My now husband Joel,and I bought her together when we were dating, when we were poor with money but rich with enthusiasm, youth workers living in a hostel in Newcastle NSW. Thats where we met. A bleach blonde dread-locked Aussie surfer girl and a red haired screamo-music playing American boy. Bright eyed and bushy tailed ready to save the world! After 10 months together we got engaged, and then we were married 4 months after that. We moved fast, but when you know, you know! We were young, only 21, but we were (and still are) in love and totally ready to take on life together. After we married in 2004, we took off on our next adventure. Our American adventure. We moved to Joel's hometown in rural Pennsylvania, USA. But this beach loving Aussie girl missed the ocean, and had no idea how to live in the snow. So after less than a year we packed up our things and headed south, to Sarasota, Florida. Home of retirees, beautiful white sand beaches and an Amish themed restaurant where I found myself working! After another two years, the call of home was too strong, the bottom fell out of the US economy, so we made the decision to head back to Oz, but this time to my childhood home... Perth, WA. Instantly Perth felt like home again. Back with my family, lots of work opportunities, I started Uni and we found our groove. We bought a little cottage in Freo, and spent most of our weekends working on home improvement projects (don't buy an old house unless you love working on it). After a few years, we felt like something was missing, and it was finally the time to add to our family. It was time for a whole new adventure. We now have two kids, Ezra, the boy, such a boy, my sweet loving three and a half year old boy, who is the friendliest person I have ever met. And Willow, my baby girl, she is such a lovely, smiley, happy little girl, I am so excited to see who she will turn out to be. We sold our little house, and built a new house close to the beach a little south of the city. So this is where you will find me sharing about life and things that I love. I'll most likely be drinking tea out of fine bone china, dreaming up a new crafty project, trying to be the best Mum I can be, trying to to manage working from home good thing I LOVE my shop, dreaming of decorating our new house, watching So I married an Axe Murderer or the latest episode of The Mindy Project, spending my days at the beach and trying to love cooking but taking credit for my husbands awesome creations in the kitchen. I hope you'll join me, stay a while and say Hello!